Our objective? Connecting objects together to make them become smart devices. Together with our partners, we connect things in order to develop services that allow cities to save energy, to improve the safety of houses and cars, or increase business efficiency. IoT - How can we help you? Do you want Orange to contact you? Connected objects are equipped with sensors that measure and collect information. They then use a specific technology to communicate this information over multiple media, such as a smartphone, to allow other uses. This real-time communication is used to optimise many processes and to increase efficiency, profits and security in many areas. Send alerts when certain thresholds (heart rate, blood pressure, temperature...) are reached. For example, monitoring the sugar level of a diabetic person. IoT makes it possible to monitor the work of a machine or the level of a tank without having to be physically present on site. To be able to verify soil moisture, the amount of light a site receives or the ripening of a plantation. To be able to follow vehicles or packages, along with their condition. Control options for street lighting or to create intelligent parking. Orange is a major player in the field of the Internet of Things in Belgium. We combine our mobile, landline and IoT networks to offer reliable, high-performance solutions on several levels. Our team of experts, specialised in various areas of the Internet of Things and Machine-to-Machine communications, is available 24/7 to answer your questions and assist you. We adapt to your needs. We listen to you and identify the ideal solution to meet your goals and help you increase the value of your products or services. We use our many years of experience to offer you enterprise mobility solutions and to support your mobile and landline communication services. Orange is part of an international group of companies offering effective and major solutions in more than 220 countries. We are specialised in multiple domains of the Internet of Things and Machine-to-Machine communications. Thanks to the Narrow band - Internet of Things (NB-IoT) technology, you gain 20 dB compared to conventional 4G. 20 dB is the estimated signalloss caused by 2 walls. Take advantage of our portal or integrate it into your IT environment thanks to our interface tools, which you can use to gather useful data to improve your processes. Or use the tools to manage your fleet of SIM cards. NB-IoT and IoT operate within a licensed spectrum, thus avoiding any possible interference. They are also supported by 3GPP to guarantee their continuity of operation. Incorporate data from your own devices using a private APN, which can be combined with an IPVPN. Our IoT SIM cards are specifically developed to fit all purposes: they can be rewritten indefinitely, they’ll withstand extreme temperatures, they’re shock- and vibration resistant, are available in a variety of formats and can even be soldered. Temporary offer till 31/12/2018.Fair Use policy means that the nature of the NB-IOT technology needs to be respected: NB-IOT is developed to send small messages, expressed in amount of Bytes, repeatedly the same day. We expect the average data sent per day not to exceed 1MBytes. In case this Fair Use Policy is not respected, your access to Orange Maker can be cut. 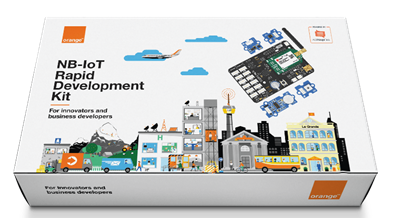 Did you know that you could create an Internet of Things app in just 30 minutes? Today the IoT comprises nearly 3 million SIM cards in Belgium and the market will continue to grow. Time for an overview!